Pro-Syrian press sources said on 4 October that the Syrian army and its allies reported on 4 October that they drove Islamic State fighters from their last positions in the central province of Hama after heavy fighting. The pro-Syrian government newspaper, Al-Watan, reported that "the army has taken complete control of eastern Hama province." The Syrian Observatory for Human Rights (SOHR) said the Islamic State was no longer present anywhere in the province for the first time in three years. The monitor said more than 400 Islamic State fighters and nearly 190 Syrian soldiers and allied militiamen died in the Hama campaign against the Islamic State. If you haven't heard about this on corrupt, lying, smug mainstream media news, I'm not at all surprised. As Syrian and allied forces expand the area under Syrian government control, the government’s positions in talks are getting more rigid and its willingness to compromise is decreasing. The Russian government wants the US to coordinate its actions in Syria with the Syrian army and the Russian air force. "We would like the US and the coalition it leads to feel free to coordinate its operations with the Syrian army and the Russian aerospace group," Russian Foreign Minister Lavrov said on 4 October at an international conference of heads of secret and security services and law enforcement agencies. "It is necessary to ensure the coalition should fight not only against ISIL, but also against Jabhat al-Nusra, which for some reason remained untouchable back under the Obama administration." 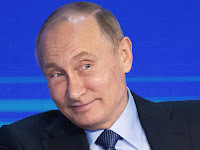 Lavrov said Russian President Putin’s initiative for creating a wide anti-terrorist front with the UN playing the central, coordinating role was still relevant. The Russians also are manifesting increased impatience with the US and the UN as the final defeat of the Islamic State nears. Foreign Minister Lavrov’s appeal for coordination by the US seems to contrast sharply with statements by the defense ministry’s spokesman, quoted below. On 3 October, the Syrian Foreign Ministry sent two letters to the Secretary General and the President of the Security Council, criticizing the international community’s silence towards the “US atrocities.” Syria called on the UNSC “to do its job” and halt the US-led coalition’s airstrikes in Syria. This is a reaction to the death of 12 civilians in a US air strike. Syria has labeled the US military presence in Syria as illegal and has periodically called for international intervention to halt US air attacks that caused civilian casualties. It has petitioned the UN and the so-called international community to restrain the US in May 2017, after 35 Syrian civilians died in an air strike. The Assad government senses that the US wants to limit the Syrian victory in the civil war. The Russians are encouraging that assessment. The spokesman for Russia’s Defense Ministry, Major-General Konashenkov said on 4 October that attacks launched by the Islamic State in Syria on Syrian government forces had come from the area around the locality of al-Tanf. Al Tanf is the location near the Jordanian border where a US military mission was located. The Russians continue to insist that the US is trying to undermine the Syrian government, in addition to defeating the Islamic State. They perceive linkage in efforts to block Iranian activities in Syria with the overthrow of the Syrian government because of the critical support Iran has given to enable the survival of the Assad government. This is at least the third time a Russian defense spokesman accused the US of supporting Islamic State fighters. The Russians have never been persuaded that the opposition included moderate and extreme groups, which the US argued for six years. Unless a group has signed a ceasefire agreement, Russia considers all anti-government fighting groups to be enemies. As government control has expanded, Russian willingness to differentiate among non-signatory anti-government groups has diminished. The Russian accusations have not been effectively refuted. Konashenkov’s language contains a threat of Russian air attacks against US-supported rebel groups at al-Tanf. Rudaw reported on 5 October that following his visit to Tehran, Turkish President Erdogan said that Iran, Iraq and Turkey are unified against the Kurdistan Region and will form a tripartite mechanism to decide whether to shut down the region's oil exports. Erdogan might be out in front of his counterparts. Iraqi Prime Minister Abadi and Iranian President Rouhani have not made statements as forward-leaning as has Erdogan. Russian President Vladimir Putin warned against any action to limit oil exports from Iraqi Kurdistan. He said that Russia had good ties with Kurdish people in northern Iraq and advised that the controversy about the Kurdish region should be solved through discussions. One week before the Kurdish independence referendum, the Russian company Rosneft agreed to build a $1 billion pipeline to the region. Russia has significant leverage with Turkey and Iran stemming from Russian intervention in Syria and from arms sales, such as the S400 air defense system to Iran and Turkey. President Putin’s opposition to an oil cutoff from Kurdistan should moderate Turkish President Erdogan’s compulsion to punish the Iraqi Kurds. As has been mentioned before on this blog, France derives 80% of its domestic power from nuclear energy. The source of French uranium is primarily in Niger. This gave impetus to President Obama's Africa First policy and the US Africa Command (AFRICOM) acted to support our French allies in the region by building a (no-so-secret) air base and sending troops to prop up the Niger Government. On 5 October, AFRICOm confirmed that a joint patrol of eight to 10 US and Nigerien soldiers came under fire in the southwestern part of the country near the Mali border. The Command said the patrol was a training mission, not a combat mission. Make of that what you will. Unidentified US officials said that three US Special Forces soldiers were killed and two were wounded. Officials from Niger said that five Nigerien soldiers also were killed. Open source reports lack precision as to specific locations. 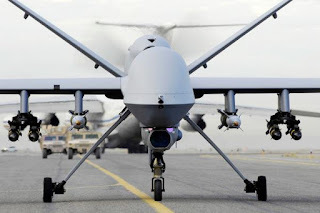 However, in general terms, they indicated four years ago that the militants and terrorists whom the French did not kill in Operation Serval fled to eastern Mali. The border region with Niger along the Niger River specifically was identified as a refuge. Niger sent extra soldiers north from Niamey to try to prevent terrorists from crossing the border from Mali. 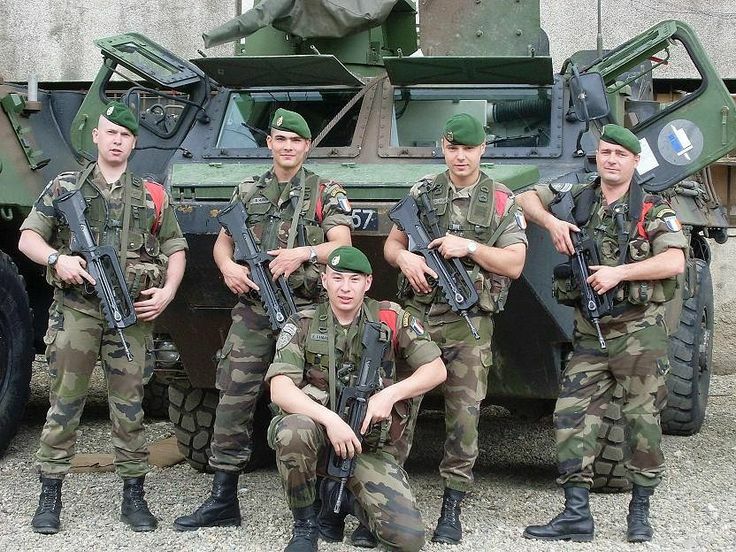 Security has not improved since the French operation ended and most of the French forces departed in 2013. 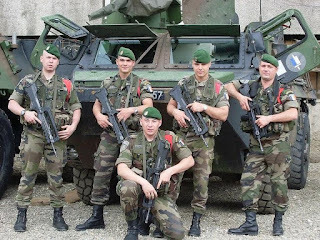 Because the US maintains an air base, the US remained and USSF/green berets took over from the French Foreign Legion (who also wear green berets). Operation Serval was one of those military opportunities to send MANY different units to Mali for training in a 'real-world' combat environment. It worked for the French. It wasn't unlike the Russian opportunity in Syria to give its army some genuine trigger time. The US Africa Command, prudently, is disclosing little information about the ambush. Its explanation for this loss of life should prove instructive. My sense is that if the French want to keep the uranium flowing in Niger, they should up the ante and send troops back into the country. US treasure and blood serves very little purpose there (but it hosts a cool base for Predator and Reaper drones). The French found that while Operation Serval was a useful training evolution and officers received medals, it was expensive. Better to let the US bare the yoke? Maybe it's become a tradition?